The center would focus on developing improved milk-based maternal and infant nutrition products for the global market. Swiss food and drink conglomerate, Nestlé S.A. has recently inaugurated its first research and development center in Ireland at its present manufacturing facility in Limerick, observing the completion of its three-year building program with a capital investment of €27million. According to reliable sources, the new R&D center will focus on scientific research to aid innovations in milk-based infant and maternal nutrition products targeted for markets worldwide. The center will include lab facilities as well as a full-scale pilot manufacturing line to support the development and testing of new products from initial concept to product deployment, claim sources. 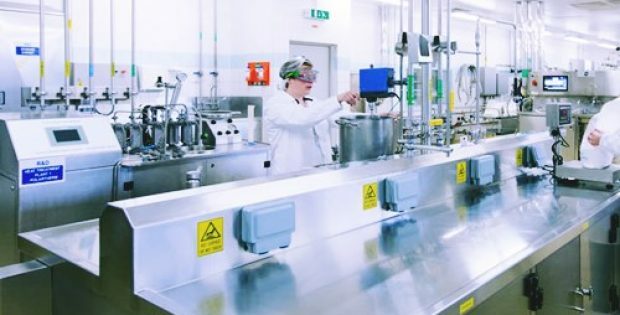 According to a press release, Thomas Hauser, Head of Global Product and Technology Development, Nestlé S.A., said that the company’s Irish R&D center will benefit from its global R&D network, helping to Nestlé situate itself at the forefront of infant and maternal nutritional product development. Hauser added that the new center will effectively increase the firm’s pace in innovation by enabling its scientists to explore advanced nutritional solutions that aid the crucial first 1,000 days of an infant’s life. Reportedly, at the inauguration event, Michael Creed, Minister for Agriculture, Ireland, said that center was a strategically important investment made by the world’s leading food and beverage firm in Ireland. He said that the region was honored to have an advanced research facility that offers an innovative scientific base to develop new products that will effectively bring health benefits to infants, children and mothers worldwide. Commenting on the new facility, Dan O’Callaghan, Head of Nestle’s Irish R&D Centre, said that the company has installed advanced food processing equipment and analytical instruments at its new center. He said that Nestlé plans to complement its in-house activities through collaborative research programs with Irish universities and with the region’s Agriculture and Food Development Authority, Teagasc.